anywayz, I found the stock photo on deviantart [http://www.deviantart.com/deviation/13768633/] and edited/smudged it. Scan from animepaper, edited and smudged too. Then I brushed the whole thing, added the blood on the wall and used 2 textures. Took me about 6 hours to complete it. 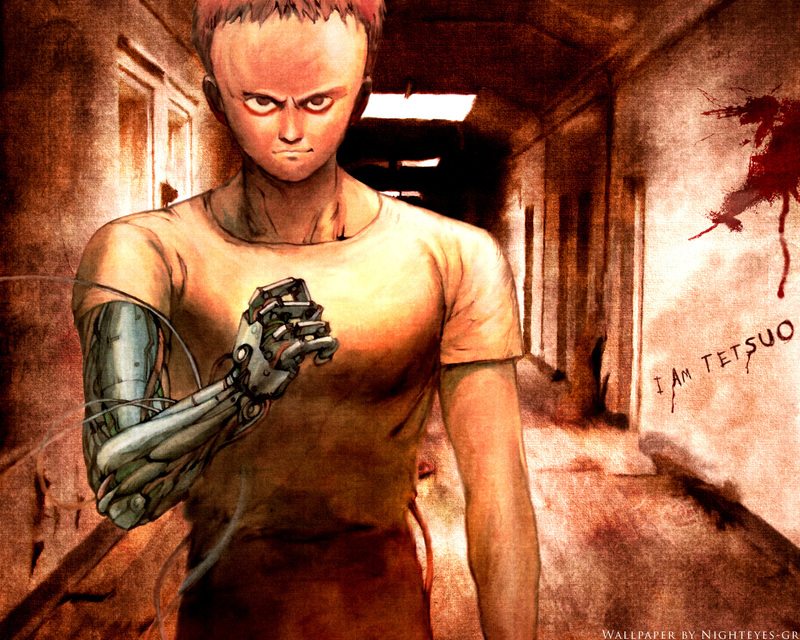 But do try to smudge or blend the text "I am Tetsuo" a little better .. it's a bit (too) sharp imho. Once again u rulled...The character is Fantastic perfectly fiitting on the environment and the colours are Perfect!Great Job! that's badass; no one does akira wall's and no one does them WELL. i like the texture and the colours, and the general flow of the wall. this is probably one of the more unique walls i've seen on MT in my short tenure here. well done, and a fave from me! A really good Compostion. I like that style.